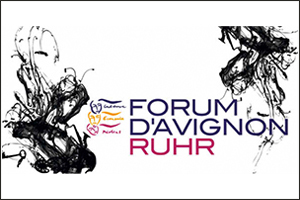 In 2014, the programme of the Forum d’Avignon Ruhr will focus on passion as a cultural phenomenon and immaterial resource. How important is it in all sectors of society? What conditions must we create in order to bring pioneering ideas and innovation into the world – whether this is in the areas of art and culture, science and business, politics or society? How can we pin down the successes of such immaterial soft skills better than in the past? 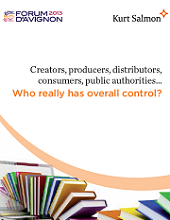 And in doing so which effects should we measure – economic, social or cultural? 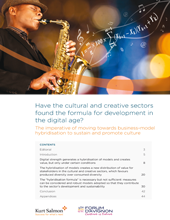 What would be the consequences for cultural and business policies, even innovation policies, if new measurement techniques could document the importance of immaterial value-creation factors? These questions are also of outstanding importance for the Agenda Europe 2020 which will be focussed on a broad definition of innovation. 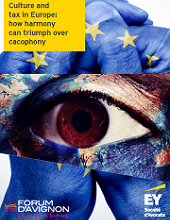 But it is still open to debate as to whether this will promote innovation and how it can be included in the programme for the next European Union funding period. Defining precisely the conditions favourable to innovation will thus be given a new topicality and overall social significance. This is why the Forum d’Avignon Ruhr 2014 is focussing on this decisive impulse in creative and economic processes from different perspectives. Top personalities from the worlds of culture, business and science will be putting forward their definitions and visions of passion. Starting from these examples there will be discussions on the conditions, significance and parallels in passion as a factor in innovation in business, culture and society, as well as on its connections with culture itself. This will be followed by a discussion on the tasks and challenges politicians are facing. 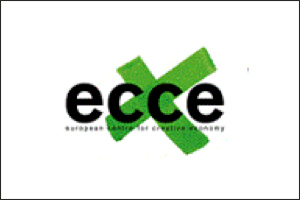 The discussion rounds and talks will therefore outline, on one hand, the current status of the culture and creative economy and, on the other hand – and partly building on the theme of spillover effects from the Forum d’Avignon Ruhr 2013 – the interplay of effects with other branches. 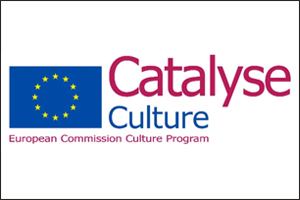 Workshops with selected project makers from the Ruhr Region and Europe will take place in the run-up to the Forum d’Avignon Ruhr 2014. 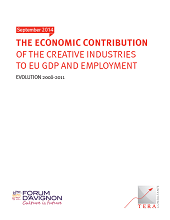 They will put forward thesis on what framework conditions can best support creative work and innovations. The thesis will then be included in the debate on the day of the conference. The N.I.C.E award will recompense an innovative project during the Forum. The end is to give rise to new insights into quantitative and qualitative aspects and introduce evaluation and research as themes. 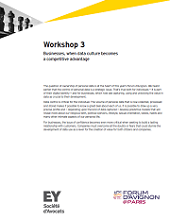 Identifying synergies and tensions between cultural innovation and business innovation. Opening address of the Forum d’Avignon Ruhr on June 12, by Axel Ganz, Vice-President of the Forum d’Avignon. The first place goes to the project office Friedrich von Borries with the political artproject "RLF- the real life in the wrong one". The second place get shares with Conexiones Imbrobales from Bilbao and the Unperfekthaus from Essen. The third place goes to URBANAUTS from Vienna.